An app might be a great way to help you get on track. Water tracking apps can help you determine the right amount to drink, track your drinking habits and establish new habits. If you’ve tried to use a tracking app before, you already know that most apps have both pros and cons, and likewise, there is no perfect water drinking app. With that being said, these are the best water tracking apps out there for 2019. Need some external motivation? What about keeping a little plant alive? Plant Nanny combines the growing of cute houseplants with water tracking. It’s maybe not as comprehensive as some other water trackers but if you’re motivated by games, it’s a great option. Plant Nanny will remind you when your plant (you) needs water and will keep logs of what you’ve had to drink. 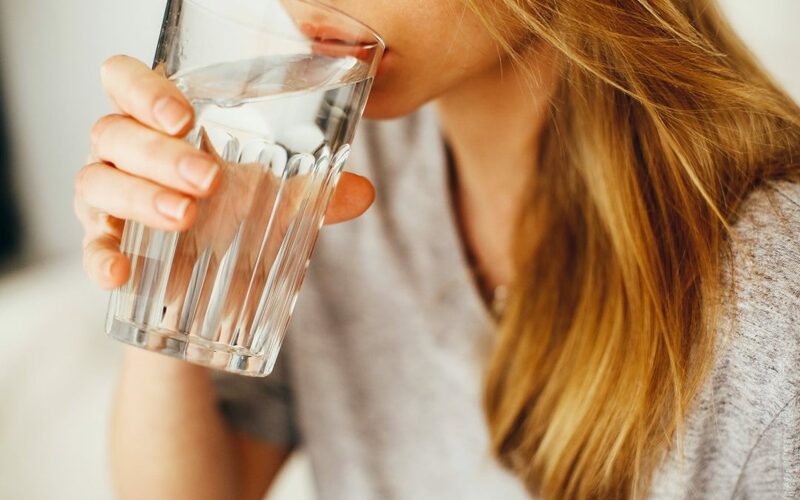 This app isn’t just for drinking water, but for lots of aspects of self-care from going to bed on time to working out and brushing your teeth. As far as water tracking goes, you have two options with this app. The first option is to do a simple one-tap check-in which simply marks that you’ve had something to drink and the time. The second option for water tracking is to write a reflection where you can fill out detailed information. While Aloe Bud does keep track of times you had water, you’ll have to tally the amount of water you had yourself-which can be a major pitfall. However, if you’re looking for a rounded wellness app, and not just a water tracker Aloe Bud is still worth looking into. This app is also only available on the apple store, but it’s supposed to be coming out on Android sometime during 2019. Gulp is a water-tracking only app. Because it focuses on water consumption only, it has many options for tracking your water including water intake alerts, progress towards your water consumption goals and different container allotments for easy recording. Gulp also syncs with Google Fit! This app has all the standard water tracking features in a sleek easy-to-use format. What makes Daily Water unique though is the ability to set your own water goals. This is great if you want to aim for less than or more than the standard recommend amount. Hydro Coach is perhaps best know for its ability to sync with Fitbit, Google Fit AND Android Wear products. With a focus on hydration and workouts, it has nearly 100 options for glass types and allows you to make custom water consumption goals for especially warm days or big workout. This app is currently only on Google Play, but the manufactuer says that an IOS version is coming soon. Water Drink Reminder is an android-only-app and it’s all about staying hydrated based on your weight. The idea being that staying hydrated can help with weight loss and also curb snacking. 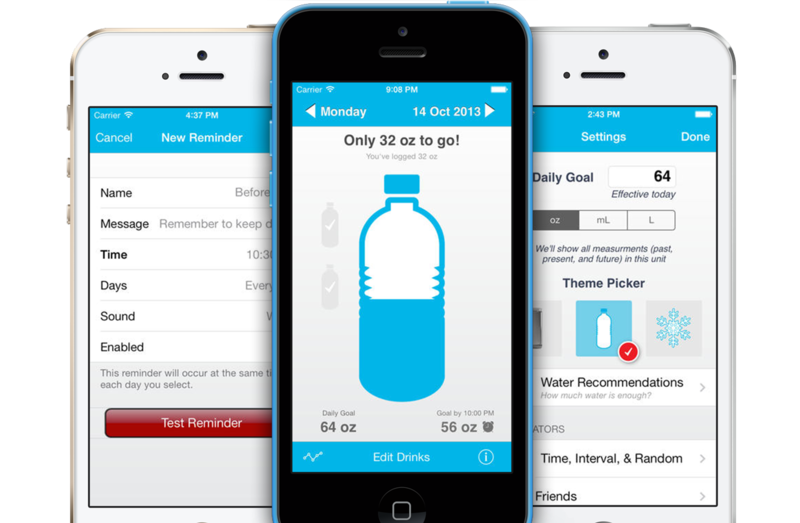 The app tracks your water consumption and also weight loss. Waterlogged is an IOS only app. It’s unique in that it lets you measure beverages other than just water. It also lets you save your “favorite” drinks. So, if you use the same water bottle at the gym everyday, you can save the correct size and easily add it to your daily log. Linking to Fitbit and Apple Health, the Water Balance app allows you to challenge your friends to a little friendly compition.